Supreme Sports offers a number of court components certain to maximize your sport court experience. 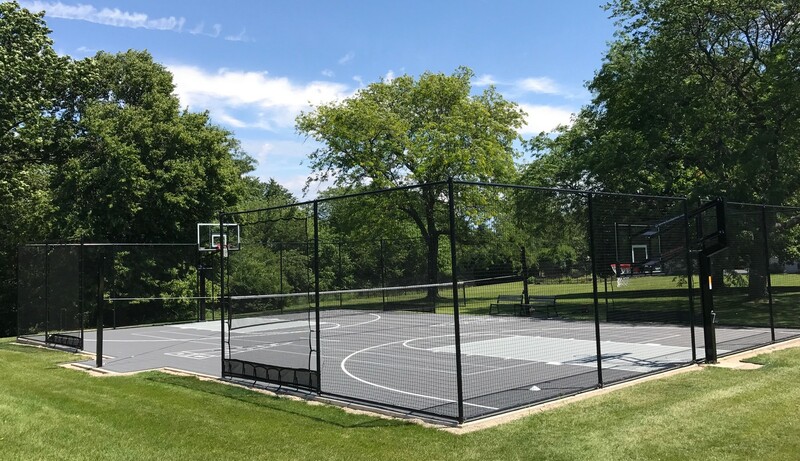 Standard and custom options including Multi-Sports Net Systems, Rebounder Systems, Ball Containment Systems, Court Light Systems, and Batting Cage Systems can complete your Supreme Sports in a stylish and functional fashion. The hoops fan will appreciate Supreme Sports's Rebounder System. Available in standard 10'x10' and 10'x20' sizes as well as custom sizes, this custom designed system features a #420 weather treated rebounder net and a 1.9" od, 16 gauge steel coated acrylic urethane finish. It is also built to retrofit with our ball containment system, and will allow you to work on your shooting without the hassle of tracking down balls all day. Our Ball Containment System is a relative of our Rebounder System, and comes in standard 5' and 10' heights. Custom sizing is available up to 12', and its heavy duty #420 weather treated ball containment netting and 1.9" od, 16 gauge steel coated acrylic urethane finish make it durable and dependable. A vinyl coated chain link fence is also available for commercial installations. When the sun goes down the courts are still in play courtesy of Supreme Sports's two types of Court Lighting Systems. Our Halogen lighting option (2x1500W) can be fitted as an inline extension to your Multi-Sports Net Pole or a stand alone pole, and features optional ground sleeves for mounting. Meanwhile, our Metal Halide Lighting features Die Cast or Extruded features, with nine optional mounting arms for multiple lights. 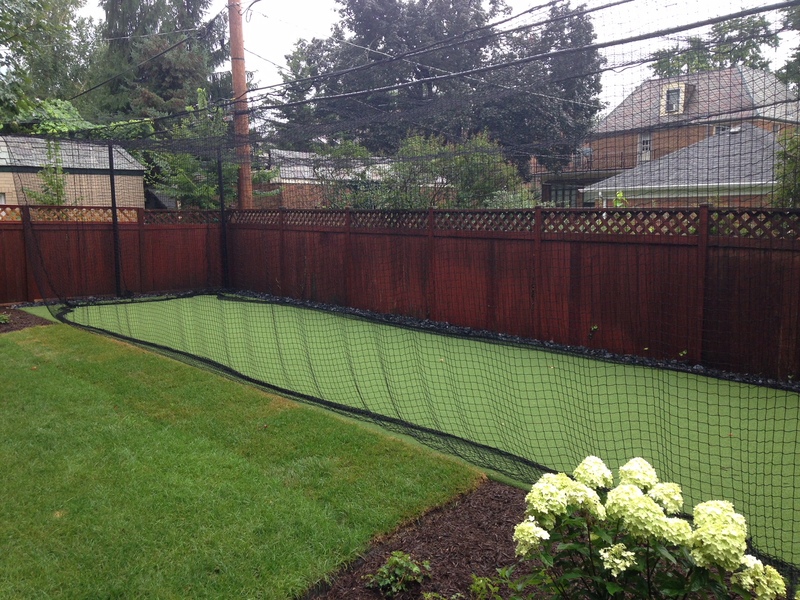 Finally, develop the essence of your swing in a Supreme Sports Batting Cage System. Batting cages are available in Indoor and Outdoor use and come in standard and custom sizes as well as Residential and Commercial grades. Supreme Sports Baskteball Goals feature a limited lifetime warranty.